IF there’s one consistent strand in Donald Trump’s foreign policy, it is the single-minded, open-ended support he has given Israel. 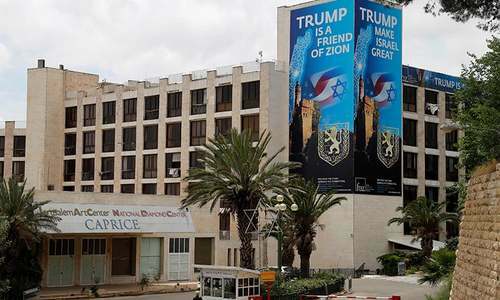 And while his predecessors over the last several decades have been strong supporters of the Zionist state, Trump has dropped the fig-leaf of neutrality between the Israelis and Palestinians. There is now no daylight between Washington and Tel Aviv on the latter’s perceived (and exaggerated) security needs. It began with the appointment of the current US ambassador to Israel, David Friedman, a well-known ally of the Israel right-wing, and a staunch supporter of its illegal settlement policy. Friedman has also championed the Israeli cause of declaring Jerusalem as the country’s capital, something Trump’s predecessors had resisted for fear of damaging the prospect of a peace deal between the two parties. The extent of resistance Friedman faced in his confirmation can be gauged by the fact that he squeaked through the Senate hearings by 52-46 votes. Normally, the US nominee for the position is confirmed without much of a grilling. His appointment was met with even more robust opposition from Mahmoud Abbas, the president of the Palestinian Authority, who called Friedman “the son of a dog” after Trump announced that the US would shift its embassy from Tel Aviv to Jerusalem. Even though this move was opposed by key US allies, Trump pushed ahead, much to the delight of Benjamin Netanyahu and his many right-wing admirers in the US and Israel. Trump has nevertheless proceeded to slap a host of sanctions on Iran. 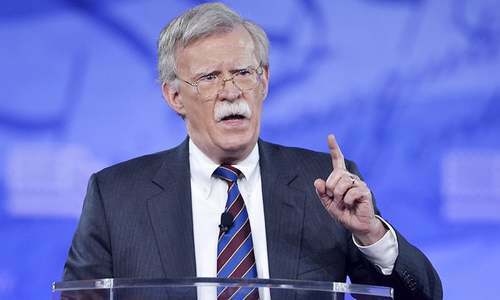 He has also threatened to impose sanctions on foreign countries dealing with Iran, putting at risk billions of dollars in ongoing contracts, including one for $30 billion for civilian aircraft from Airbus. The manufacturer fears that the Trump administration will block the export of a significant number of American parts used by Airbus. All this is, of course, music to the ears of Benjamin Netanyahu, the man who probably has more influence in America today than any of his predecessors. 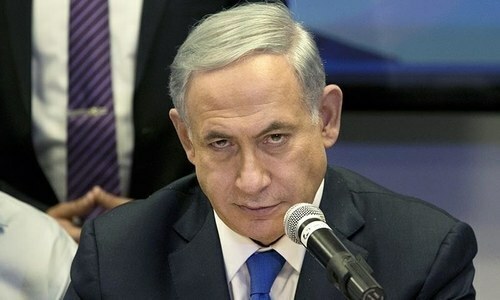 Since negotiations over the JCPOA first began, the Israeli prime minister has been vociferous in his opposition to the deal. He even took the unprecedented step of appealing directly to the US Congress, bypassing Barack Obama. All of Israel’s many American supporters were encouraged to pressure their local congressional representatives to oppose the agreement. But Obama finally prevailed, and the JCPOA remained his finest foreign policy legacy until it was junked by Trump. Another man who has been cheering the American pullout from the JCPOA is Prince Mohammed bin Salman, the heir to the throne and Saudi Arabia’s de facto ruler. For decades, the kingdom and Iran have been locked in a bitter rivalry over regional influence, with the Saudis realising that despite the billions spent on shiny new imported weapons, they are not a military match for Iranian forces equipped largely with indigenously produced hardware. They therefore welcome the imposition of sanctions on their hated enemy, as well as the clear anti-Iran thrust of the new American foreign policy. The evolving alliance between Israel and Saudi Arabia is nothing new. When Israel was threatening to unilaterally attack Iranian nuclear facilities, many observers reported that Riyadh had agreed to permit Israeli jets to overfly Saudi territory on their way to Iran. Clearly, there is a convergence of interests here: Israel and Saudi Arabia depend on American support, and both share a hatred of Iran. And, of course, renewed American sanctions on Iran have pushed up the price of oil, something welcomed by a cash-strapped Saudi Arabia. Trump’s nixing of the JCPOA has also sent a green light to Israel that it can attack Iranian targets in Syria at will. The recent raids, and the feeble Iranian response, reflect accurately the balance of power in the region. Iranian trainers and combat troops have played a key role in Bashar al Assad’s recent military successes against mostly jihadist groups. But lacking modern anti-aircraft missile systems, they are vulnerable to Israel’s powerful air force. With Iranian leaders, it has been the other way around. When the previous Iranian president, Mahmoud Ahmednijad, threatened to destroy Israel, it was like giving it a gift: to this day, he is cited as the reason for keeping nuclear weapons out of Iranian hands. Most Arab leaders don’t understand the amount of support Israel enjoys in the United States. For one, there are around 50 million American Christian evangelists who back Israel and Trump. Then there is a great deal of cultural affinity between Israel and most Western societies. And for American strategic planners, Israel is a strong ally in the midst of a strife-torn, autocratic Middle East. Like an aircraft carrier in a storm-tossed ocean, Israel can be used as a staging post for US forces in a crisis. Finally, the serving and retired generals who now surround and advise Trump have seen service in Iraq, where many of their soldiers died at the hands of Iran-backed Shia militias. This gives them a reason to hit back at Tehran. After the 1973 war which saw Israel occupy and annex Syria’s Golan Heights, the strategic situation has changed dramatically: Egypt and Jordan have cut separate peace deals with Israel. Iraq and Syria have been effectively neutralised. Iran is the only country that might pose a threat to Israel still standing, but for how long? Why Pakistan is obsessed with Israel? What business has Trump in any affairs except to stir up evil. Fully agree with the article. Be aware of new axis of evil USA, Israel and KSA.It is time for Pakistan, Iran and Turkey to forge an alliance with China and Russia to neuterlise the axis of evil. Very well written balanced article. Thank you Irfan sahib. Somewhere in the Arab world there is a realization that if Iran weakens to a point of no return, the rest of middle east will eventually become part of greater Israel. @Gk It is not about being obsessed with Israel. It is about standing up for justice. Can you do that? @Gk Pakistan is not, the article is about Iran and US and the influence behind US decisions. Come here to learn unbiased intellect, otherwise stay home to read your own countries lowly biased lieing media. @Gk Being obsessed with Israel provides the Pakistani ruling class a useful distraction for the masses. The failure of this class to work towards providing the most basic (food security, health, housing education, law and order) needs of the people can be ignored by promoting this and other such distractions. It should be noted that this misuse of the suffering of the great Palestinian people does not bring into question the justice of their struggle for freedom. "If there’s one consistent strand in Donald Trump’s foreign policy, it is the single-minded, open-ended support he has given Israel." @Gk Highlighting an Issue does not necessarily means Obsession. @Shuda : This is not a new alliance, it has only come out in the open now. Some were out in the open and some were running the shots from behind. Thought provoking and based on the ground realities. Crystal clear observation!